With my new Romanian friend and lovely sister in faith. I was blessed with her heart and transparency. 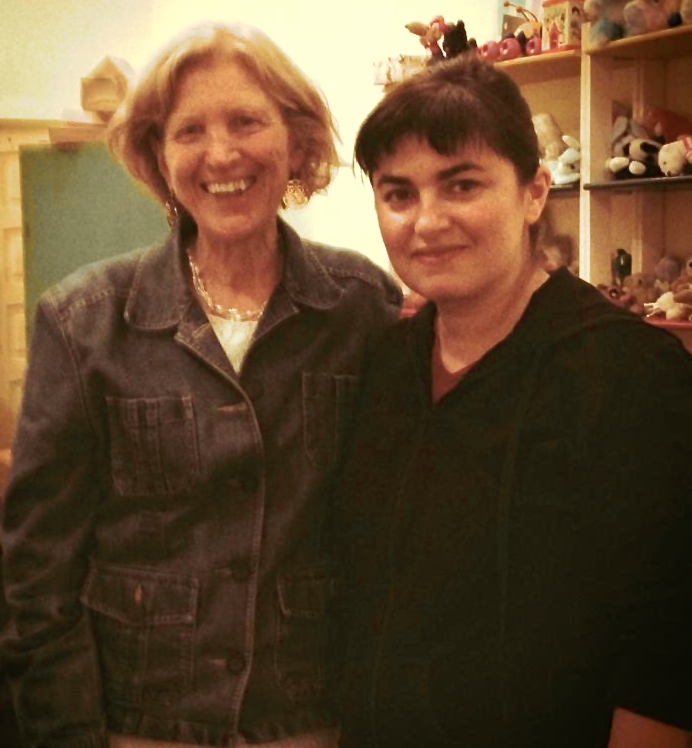 Recently, while in Romania, I had the privilege of serving a new friend with the art I do. I hoped she would begin to share her story, release trauma, and begin receiving more deeply the love Jesus has for her tender heart. Out of respect for her privacy, I won’t mention her name, but I have put up a photo above, so you can see this dear one I spent time with last week. My hope was to mentor her with humility and kindness. As I lead, I pray I serve others generously, lovingly and kindly. I try to be transparent and prayerful, asking for the Lord’s help in how I mentor. My mentors have modeled many of the qualities I am hoping to see in my own character. The best leaders I have worked under, on any outreach or work situation, have been kind-hearted servants. They have gently asked what they can do to best help the team members and me flourish in the roles we play on the team. These good leaders see needs even before they are mentioned. They make sure the team is well cared for in difficult situations. They advocate for the team members and the work they have come to do. They use encouraging words and Scripture, even when having to privately correct. They pray with and for all team members. They model humility for the entire team. We see pictures of Jesus’ heart in their leading. 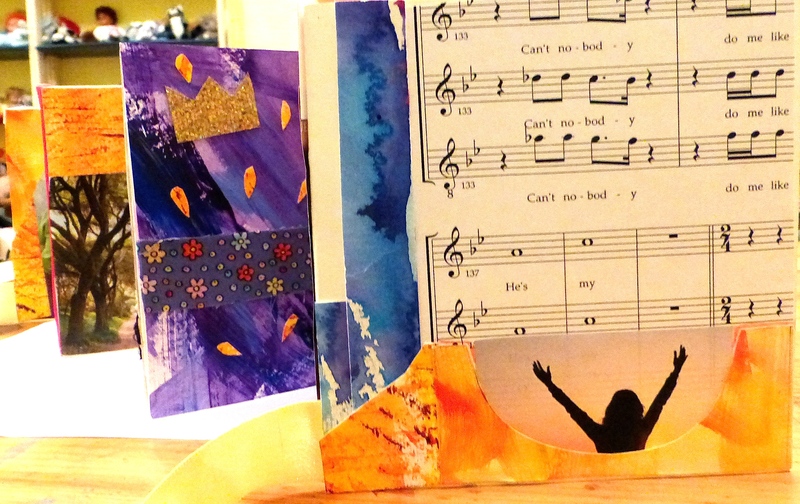 My new friend’s collaged book of Psalm 23. The pink ribbon on the second page signifies the participant embracing her womanhood. Her father wanted a son. As Jesus, the Good Shepherd and perfect leader, brings us through this life, we will, in the end, rejoice. 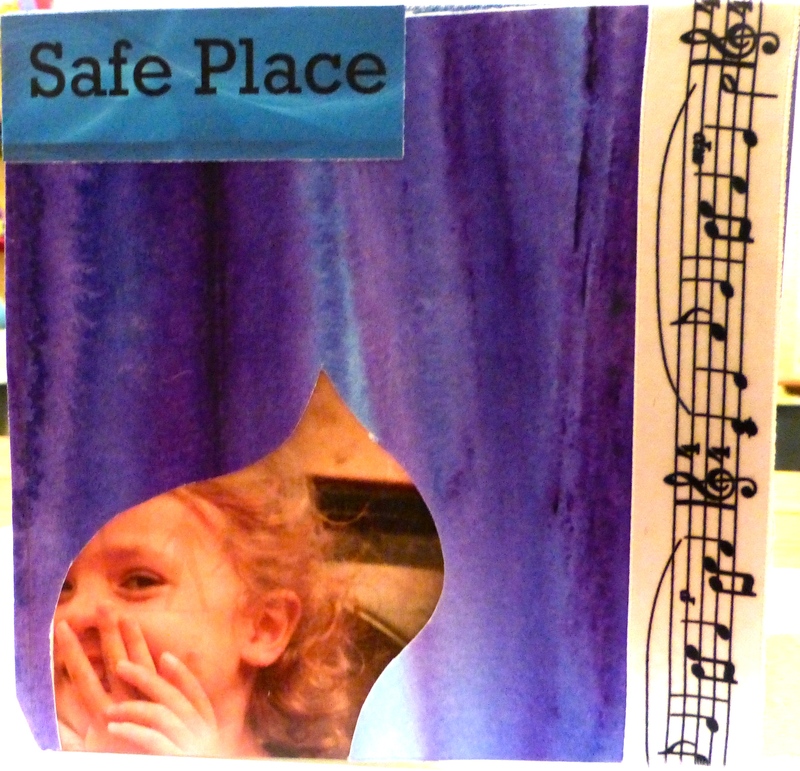 Jesus is our safe place. We can rejoice in His care. My Romanian friend collaged part of her story, she made the above pictured Psalm 23 book, and she began her storyrope™ one late afternoon. She was transparent and trauma began to be released. We talked about strongholds where trauma is parked in our hearts. We discussed suffering and bringing all things to Jesus. I gave her the gift of time, and suggested she finish her storyrope™ at home. I shared all the materials I had brought from America, so she could make storyropes™ with her friends. I encouraged her with Scripture, and she encouraged me with Scripture. I urged her to use my website as a free resource. I sensed the passing of the baton for the art engaging story as I saw her growing passion for using this type of care with women. Finally, we prayed together and parted. I pray I was a good leader for her. I imagine we will have a great reunion in Heaven, with lots of stories to share! 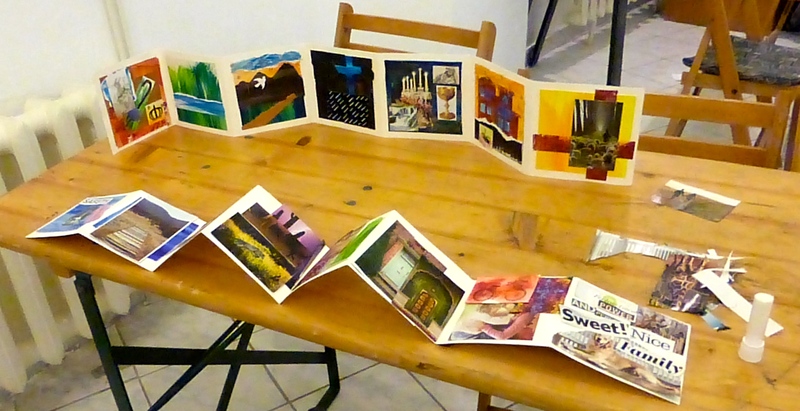 Collaged art books in Romania.